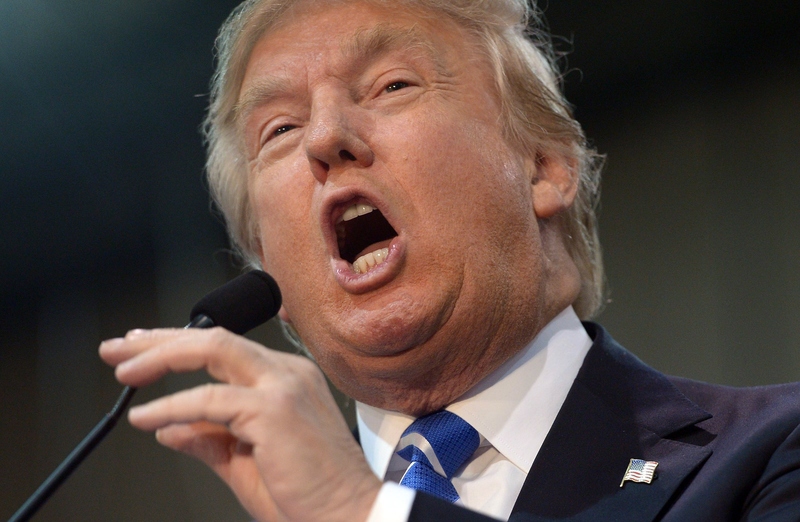 Donald Trump Goes Ballistic At John Kasich Over Ad, Because How Else Would He React? John Kasich’s super PAC — yes, Kasich has a super PAC — just ran an anti-Donald Trump/anti-Ben Carson ad. Guess who isn’t happy about it? That’s right, Donald Trump! The spot, which was produced by the New Day For America PAC, attempts to juxtapose Kasich’s decades in elected office with Trump and Carson’s lack of any political experience. Trump responded to Kasich's anti-Trump ad by doing what he does best: firing off a bunch of insults on Twitter. “On-the-job training for president does not work,” the dour narrator of the ad intones over images of Barack Obama, Donald Trump, and Ben Carson. “Benghazi. Beheadings. Paris. Our lives depend on a commander in chief with experience who understands the world.” The spot then cuts to a clip of Kasich behind a podium. It’s a strange commercial for a number of reasons. One is the narrator, who sounds more suited for a History Channel documentary than a political ad. Another is its claim that “negotiation” is “unacceptable,” as every president, obviously, has to negotiate at times. And then there’s the strange assertion that Kasich was “the first with a plan to destroy ISIS.” The first what? The first politician? The first Republican? Finally, there’s the fact that his plan, according to the on-screen text, involves creating a no-fly zone — even though ISIS has no planes. Any of those would be a valid reason to criticize the ad, but Trump clearly didn’t care about any of that. He focused instead on the fact that Kasich is a stupid loser who’s losing in the polls. Over the course of two minutes, Trump penned no less than 10 tweets disparaging Kasich. ...and threatened to take legal action against the Ohio governor. All in all, it was a textbook example of one of Trump’s favorite moves: throwing punches at people doing worse than him in the race. It’s a very unconventional strategy as far as presidential politics go; more often, front-runners will simply refuse to acknowledge the candidates polling at the bottom of the pack. But that’s just not Trump’s style. In addition to Kasich, he’s insulted Rand Paul and Lindsey Graham, both of whom are also polling in the single digits. That's what bullies do.